How does a weather delay impact students at Lincoln? When the district decides to call a weather delay for identified schools (schools with a start time of 8:30am or later), those schools run on an hour delay. 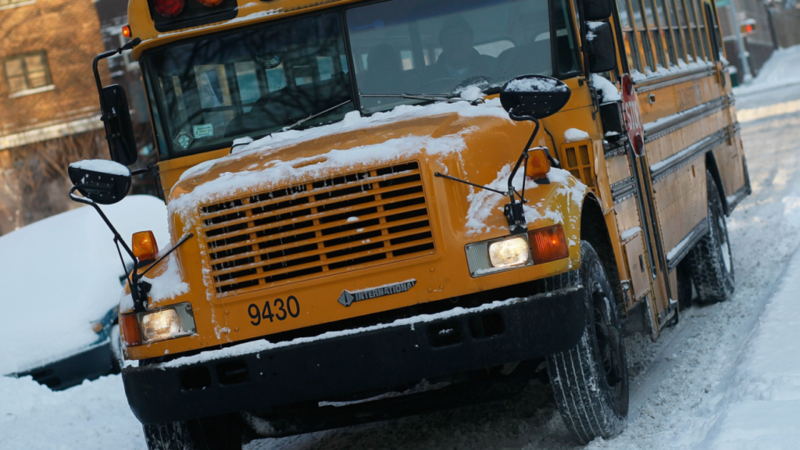 However, the purpose of the Weather Delay Schedule is to provide school buses additional time to pick up students and reduce student wait time in severe weather. Students who ride the bus should report to their pick-up location one hour later than their normal time (for example, if your pick-up time is 8:05, you will not be picked up until 9:05 when the school is on a Weather Delay Schedule). School staff are still expected to report to work at their normal times and breakfast is served at the regular time through the delayed start time. At Lincoln, this means breakfast will be served from 8:30-10:00am when we are on a Weather Delay Schedule. Students who need to eat breakfast may do so when they arrive at school, without being marked late until 10:00am. Because of this, students are still welcome and encouraged to come to school at the normal start time of 9:00am. We have less than 15 students who rely on the school bus to get to school and therefore are not significantly impacted by buses running one hour behind their typical schedule. We understand that some of our families have a longer drive than others, as well, and want all of our students to come to school safely on days when roads are impacted by weather conditions. No student will be marked late until 10am when we are on a Weather Delay Schedule, however we strongly encourage families who are able to send students to school at their regular time to maximize student learning and success. To view more information about DPS’s Inclement Weather policies please visit our Inclement Weather page or weather.dpsk12.org.